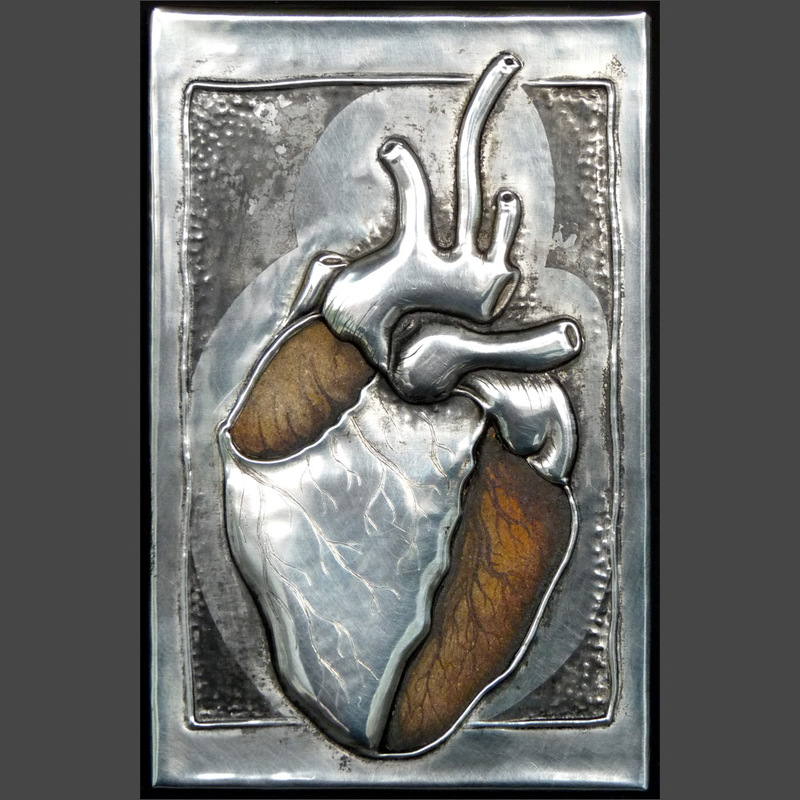 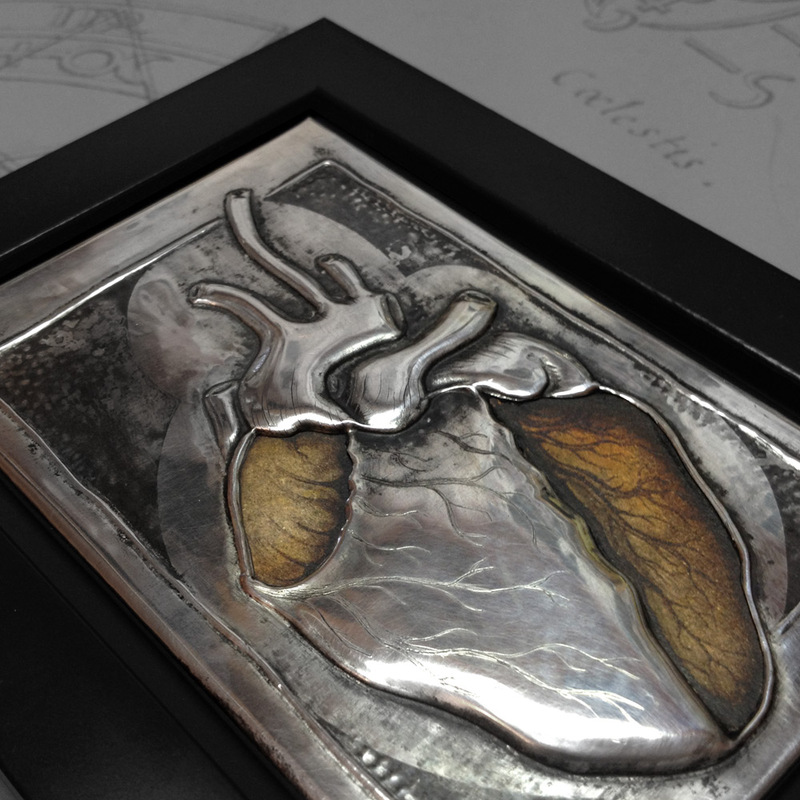 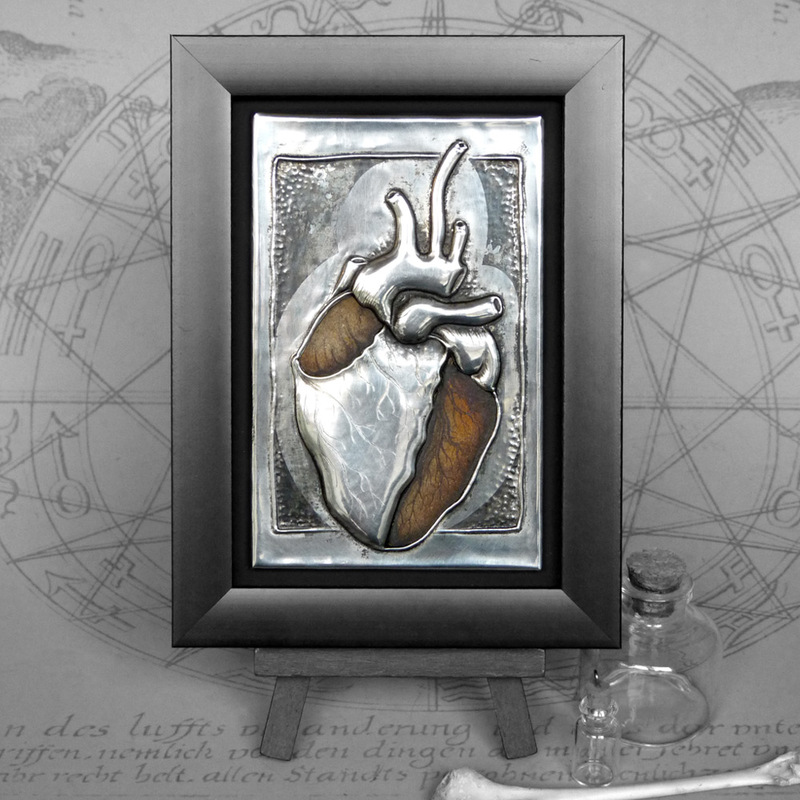 Embossed panel: 11.2cm x 7.2cm / 4.4" x 2.8"
This anatomical heart is based on a vintage engraving. 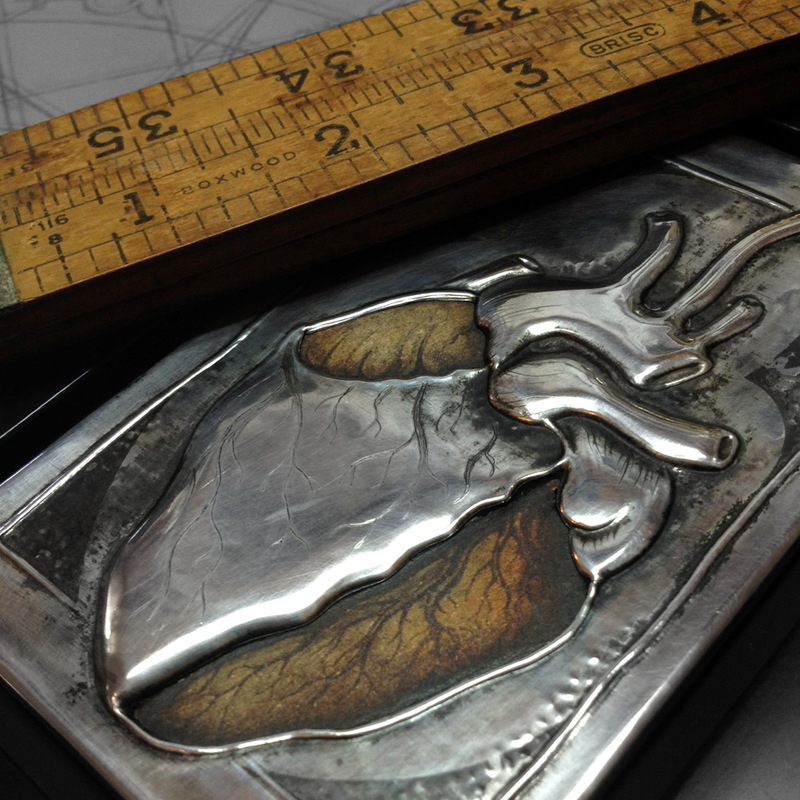 I have deep embossed the arteries, etched in tiny snaking veins and capillaries, and cut away the metal panel to reveal sections of the illustration. 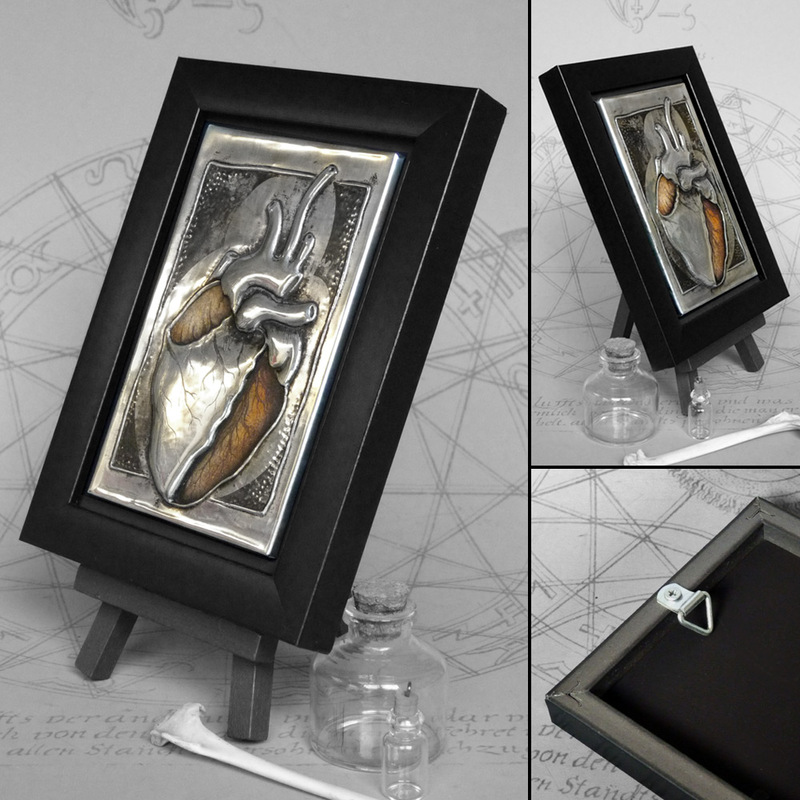 The edges are darkened with black antiquing wax and it’s polished up to a high shine.